Collects Captain America (1968) #351-371. Steve Rogers is back in the red, white and blue! With his familiar shield in hand, Steve battles alongside Nick Fury and takes on the Supreme Soviets! 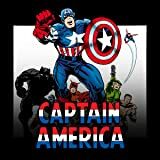 But his return to the mantle of Cap may come to a swift end as he struggles to survive Mother Night's camp of hate — while transformed into a scrawny teenager! 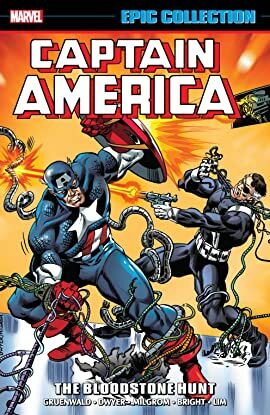 And the erstwhile Cap, John Walker, makes his return as the take-no-prisoners U.S.Agent! Then, a classic caper begins as Baron Zemo targets the powerful Bloodstone — and Cap joins the hunt along with Diamondback! She's a foe turned friend, but could she be more? Before the saga is over, they'll face Batroc's Brigade, cannibals, sharks, snakes and even mummies! Plus: Crossbones targets Diamondback, Sub-Mariner goes wild and Magneto nearly kills the Red Skull!